Make and Play a String Thing! 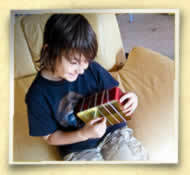 Making an actual dulcimer or guitar can require special tools and parts that may not be readily available in most houses or schools. However, the things needed to play around with strings and sound can be found anywhere. Check out this easy-to-make String Thing! 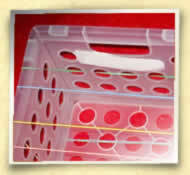 You will need a sturdy container and a bunch of different sized, different colored rubber bands. The container must be rather strong since it needs to hold up to the pressure of the rubber bands around it. 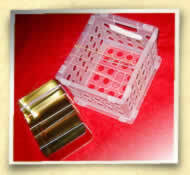 Containers like metal cookie tins, cigar boxes (without the lid) or sturdy plastic shoeboxes work well. Simply place your rubber bands around your String Thing in an order that is pleasing to your ear. The thicker, shorter ones will sound deeper. The larger, thinner ones will sound higher. If you want to emulate a guitar or dulcimer, you may wish to put them from lowest sound to highest sound, experimenting as you go. What sounds best to you? Then – play! Pluck the strings and see if you can find songs or make up melodies with the notes on your new instrument. Missing a note – or don’t like the sound? Experiment with changing rubber bands, trying a different sound box, or tightening or loosening rubber bands. You might be surprised to find your STRING THING sounding like an early lute or a beautiful folk instrument from another country. With a little effort, you can have a unique instrument and be creating simple melodies all your own! I like to imagine that this is how someone got the idea for more complex instruments like the guitar or dulcimer!